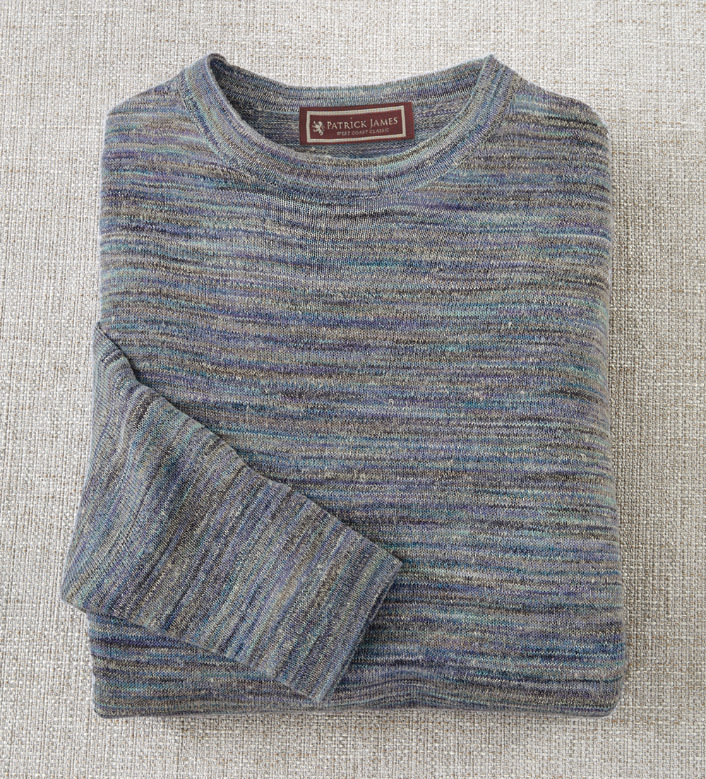 Cool, random stripes in a lightweight, melange knit that's great for travel and goes with anything. Crew neck, straight cuffs and hem. 80% acrylic/20% linen. Hand wash. Imported.